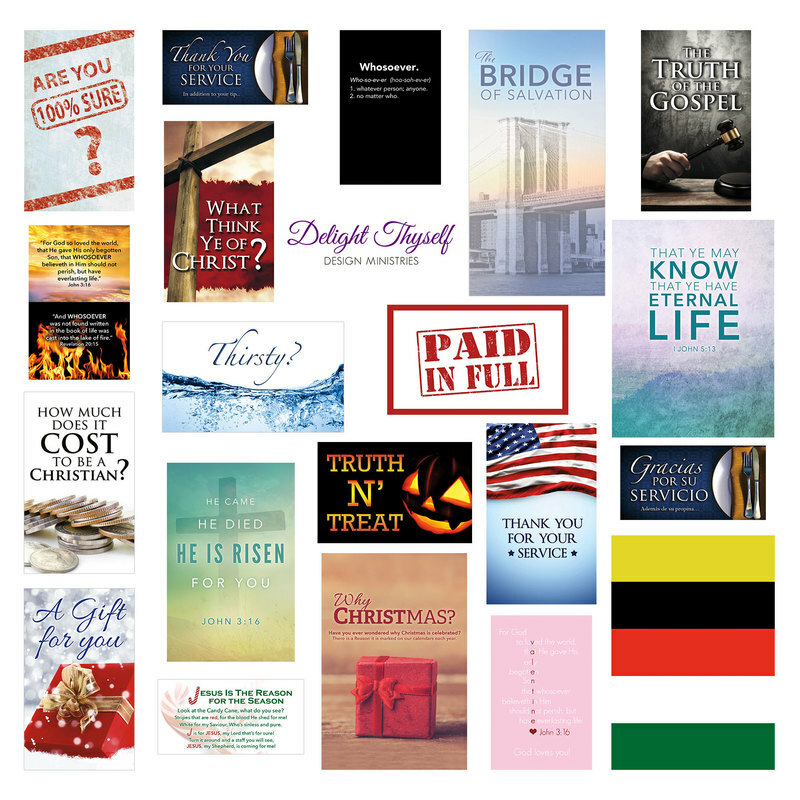 You will receive an assortment of our stocked tracts in English. Amount received will vary based upon stock availability. "The only unsuccessful Gospel witness is the one not given."